In the frustrating lack of decently priced English books in Shanghai, I turned to the Shanghai Library in hopes of striking gold. After acquiring a “visitors” pass for the day, I continued to the Foreign Language Reading Room on the 4th floor. An entire floor dedicated to foreign books!!! This was going to be perfect!!! Unfortunately, the selection was not exactly what I was looking for. I was hoping for aisles of contemporary and classic titles organized by the Dewey Decimal system and piles of recent periodicals. I found a confusing hamster maze of tired reference materials, stacks of stuffy trade journals, about ten foreign newspapers that all dated from early June and a total of three shelves dedicated to literature. I realize now that my expectations were too high. 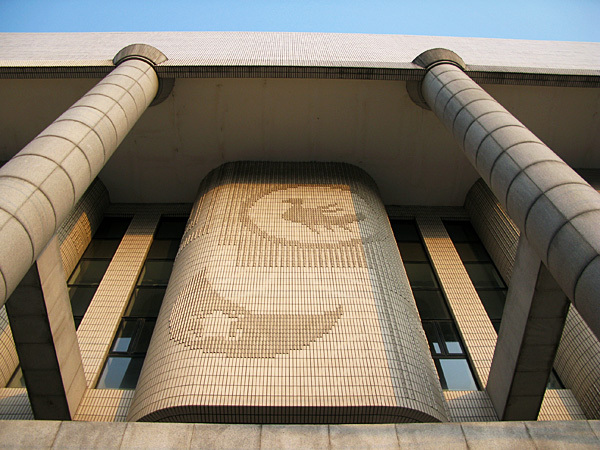 Foreign language books are not the focus of this library and many foreign books and publications have probably been censored in this country. Oh well! 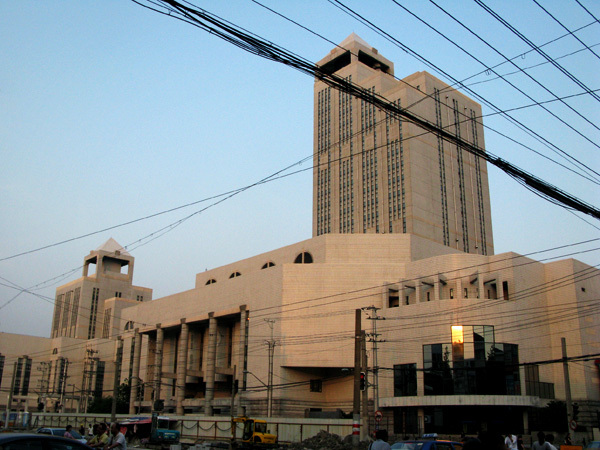 The Shanghai Library will not be my source of free unending literary entertainment, but it does house some nice reading rooms that will be good for reading two week old British newspapers and back issues of National Geographic. I also think that the library deserves a second shot. There has to be more interesting material than the June 12 Times newspaper that I found. There has to be a hidden gem in there somewhere….I mean look at this place! It’s enormous. 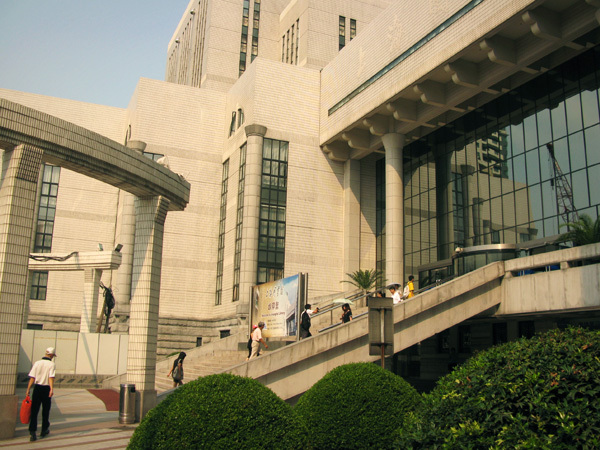 The library complex covers nearly an entire city block, and Shanghai city blocks are HUGE. What is in that big tower? What is in that little tower? What about the courtyard I saw from the windows? Too much of this building is still a mystery. Next time, I will remember to bring my passport so that I can get a “general reading” library card that will allow me access to the reading rooms. I could get a “general lending” card after paying a 100rmb deposit, but based on my first visit, I don’t think there is much I will want to take home. Also, I’m not very good at returning library books on time! 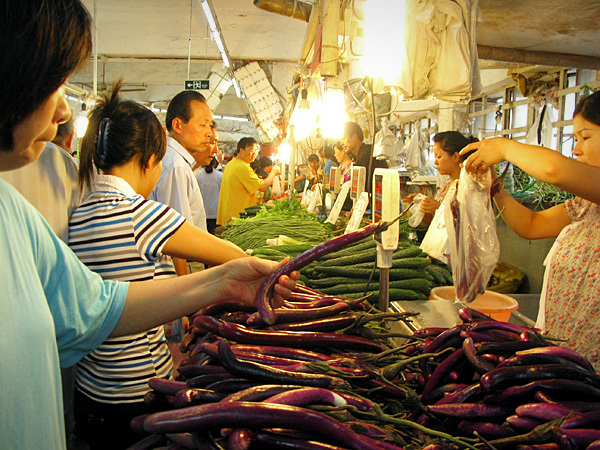 This week I finally stopped at a produce market that I have passed several times on Jianguo Rd. It is always packed with people, bikes and motor bikes, and even the lady with the Styrofoam fortress was parked out front. I wandered through the first floor meat area, but everyone else seemed to be going upstairs. 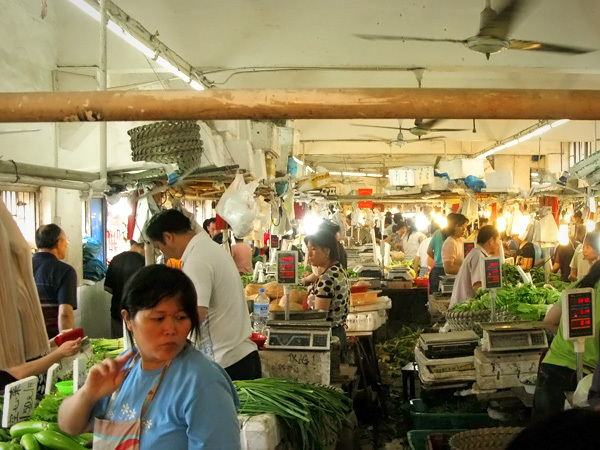 I followed the crowd and found a figure eight market packed with people and produce. The best part is that they were too busy to mind me taking photos. I don’t know what has gotten into me this week, but if a place sells sweets, then I have to stop. The first one was Awfully Chocolate, which I have wanted to try since the first few weeks we were here. 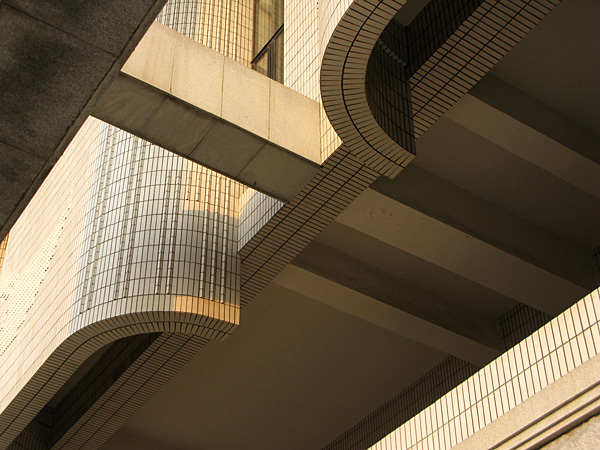 It’s located on Xinagyang Nan Rd near Fuxing Rd. The interior is extremely sparse and the menu even more so. They have chocolate cake and chocolate ice cream, and that’s it. But let me tell you. Their chocolate ice cream is the best chocolate ice cream I have EVER tasted. It is a little pricey for Shanghai at 25rmb ($3.60) for one scoop, but one scoop is really all you need. 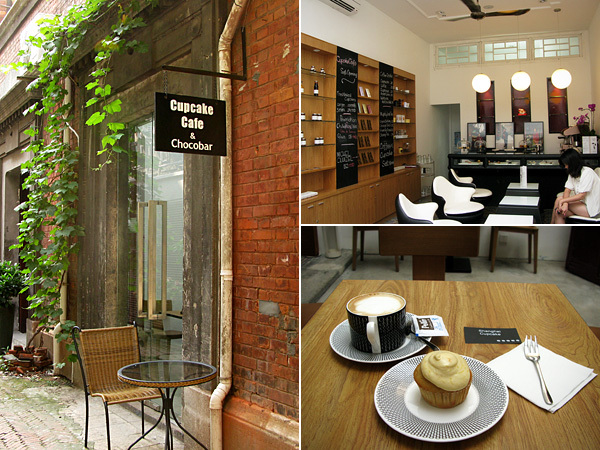 Next I found the Shanghai Cupcake Cafe & Chocobar tucked in a back alley of Taikang Lu. The shop just opened on May 15 by an American named Lee (sp?) who has been living in Shanghai for four years and recently finished culinary school. He said he wanted to focus on one thing, and he choose cupcakes. They have a selection of flavors that change daily based on Lee’s whim, so you’re guarnateed to have something new to try each time you go. I tasted the Belgium Chocolate and Mango. The chocolate was silky smooth and the icing and cake blended together perfectly. The Mango was a bit milder and not quite as sweet, so the pair was perfect together. 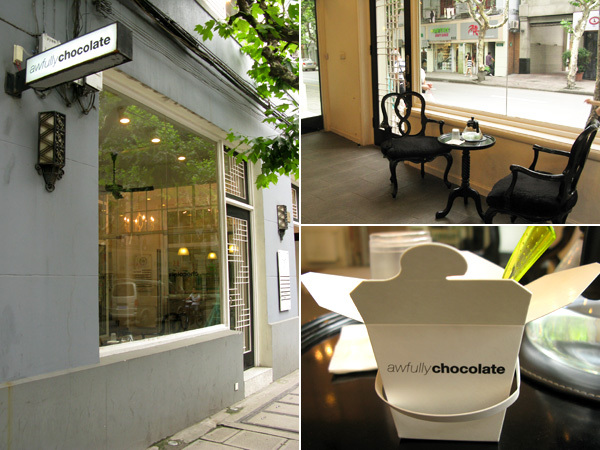 As far as I know, this is the first cupcake shop in Shanghai and is similar to many that have opened up in America recently. I really hope they do well. 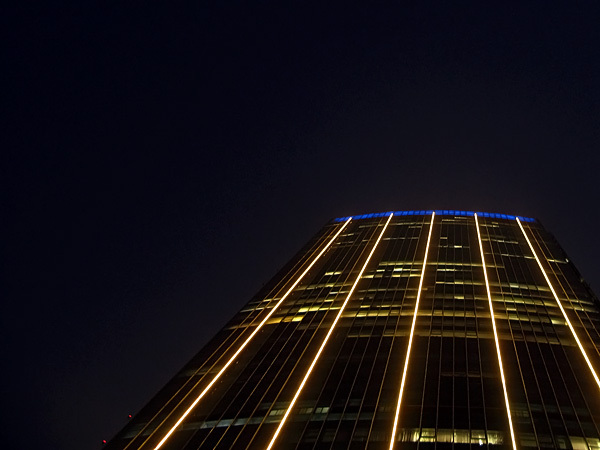 And finally….a random photo of one of many skyscrapers that fill this city. 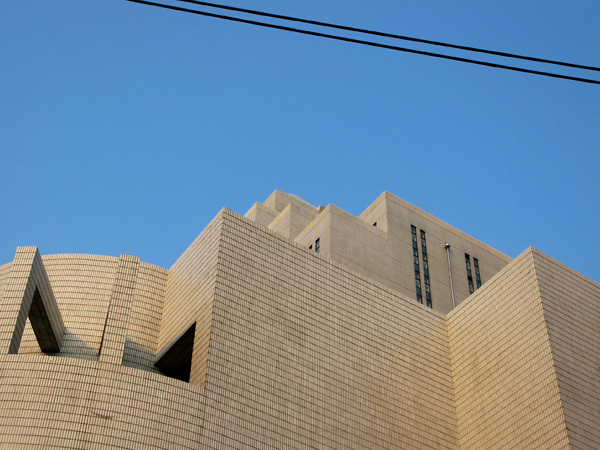 “The Center” on Changle Lu/Changshu Lu. I am a friend of Liz Cox, and I lived in China for 6 months in 2006, with my husband and 3 children. We lived in Pudong in Green Village. We all loved it! We have so many great memories, this is my opportunity to vicariously live in China through your experience. Have you been to the fabric market yet? Dong Jiau Du (not quite sure on the spelling. Do you live near Century Park? Looks like you are having some exciting adventures. Anyway, love your Blog! Sorry your excursion to the library didn’t go quite how you’d hoped!! Are there restrictions on what kind of books can be mailed to China? I have never heard of restrictions of books being mailed here, but I’m pretty sure there are ones about what can be sold here or stocked on library shelves. I guess it’s all part of living in China!! Good point Megan! I’ve been thinking of sending you a book or two J, but was also wondering if they would confiscate any literature they didn’t approve of. You know your birthday is coming up!! Let me know if there is a specific book you want. 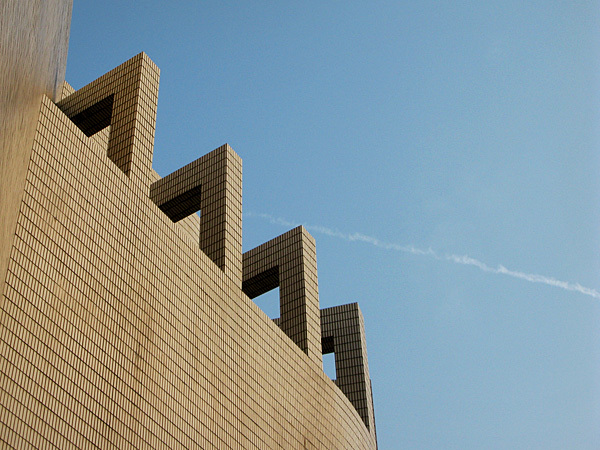 Jamie, I’m in my first week as an expat in Beijing and I have enjoyed reading your posts while preparing to come here. We have many of the same fears and interests, and watching your comfort level grow over time as you explore life around you has been very inspiring to me. Regarding bringing books into China – I’ve brought many of them with me. I was told, “nothing pornographic or religious,” and everything else has been OK. Welcome to China, Peggy!! This country really is amazing, and I hope that you enjoy your time in Beijing. There is so much to explore and discover, as I’m sure you are noticing even after being here for just a week. Good thinking with bringing books with you. We should have brought more because the selection, as I have mentioned, is much smaller than I expected. Even Chiang Mai, Thailand had a better selection than Shanghai….but I’m also guessing that I just haven’t found the right spot yet. There are way too many expats here for the lack of general reading.